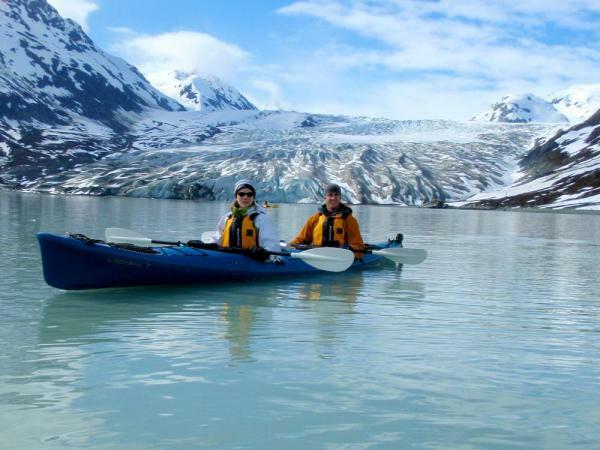 Board the Island Spirit in Petersberg, Alaska and begin your 9-day small ship cruise through America's Last Frontier. Enjoy visits to local villages such as Kake, Tenakee Spring, & Icy Strait. Interact with locals and learn about their culture and history. Take a scenic cruise through Endicott Arm and Ford's Terror and experience a landscape defined by glaciers. 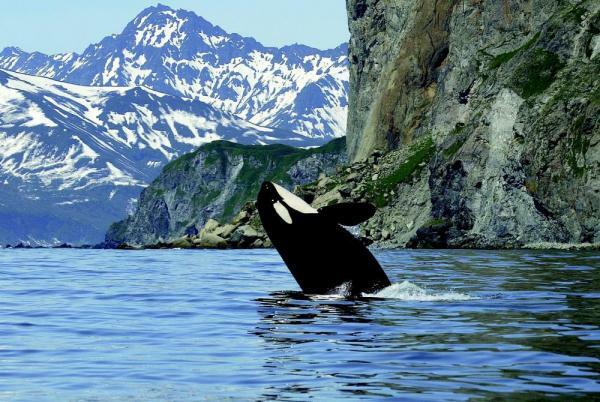 As you sail and explore the pristine wilderness keep your eyes open for wildlife and marine life! Board the ship at 12:00pm. Enjoy lunch, meet your crew, and freshen up. After lunch depart the vessel for a tour to the muskeg trail and stop at the local museum. Enjoy the local history and comraderie of this quaint fishing community. Sail later this afternoon at cocktail hour, bound for Thomas Bay, setting your sights on a peaceful night’s sleep and preparing for a big day ahead. Watch for humpback whales in this area. This morning cruise to Red Bluff Bay. View the red hills around as you enter this beautiful protected bay. 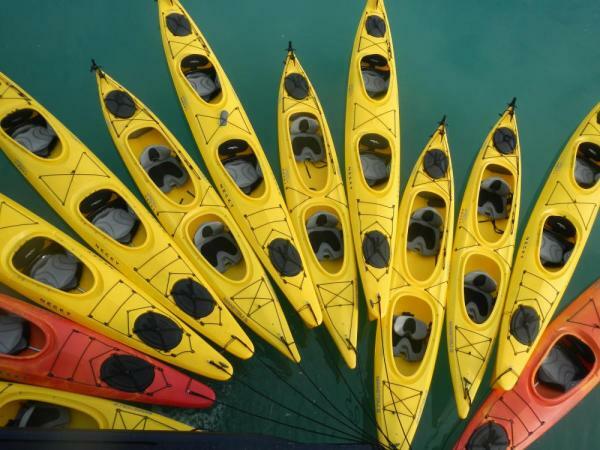 Kayaks in the water, enjoy some touring and keep a sharp eye out for brown bears. You are surrounded by Baranoff Island, known for its large coastal brown bears. Cruise around in one of the small boats with your naturalist and learn about the bay. Cruise north this afternoon in search of waterfalls and tranquility. This morning make your way to Tenakee Springs. This wonderful village invites the Island Spirit for a visit. It gives you the opportunity to see how a quaint Alaskan town of a hundred or so lives in the wild. Visit the bakery and local merchantile. Later this afternoon watch for whales as you cruise north in Chatham Strait. Anchor tonight by Cape Retreat. View the lighthouse and learn about its history as you cruise by. Cruise this morning to the state capital - Juneau, Alaska. You may choose to join your naturalist for an afternoon visit to the local State Museum. You can also visit the shopping area for an Alaskan memento, as it is the only “tourist trap” you visit. Depart at 7pm for some evening cruising to the anchorage at Taku Harbor. You may wish to add-on one of the many tours in Juneau: helicopter or flightseeing or zipline adventure to name a few. There’s also a nice interpretive center at Mendenhall Glacier. Kayaking anyone? Or, a walk around the old cannery ruins? Maybe you’ll find a treasure from years past? 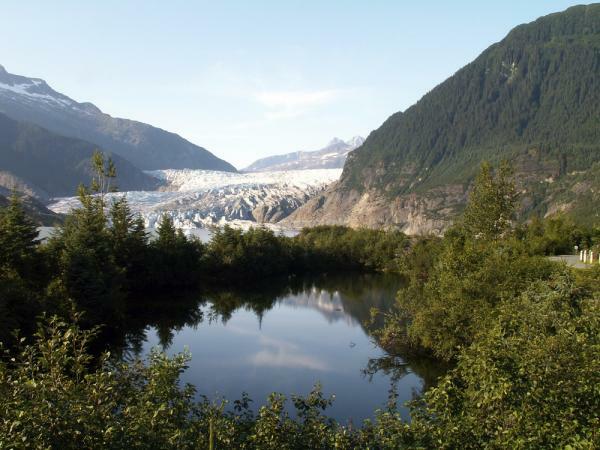 Enjoy cruising in some of the most scenic areas of the Tongass National Forest. 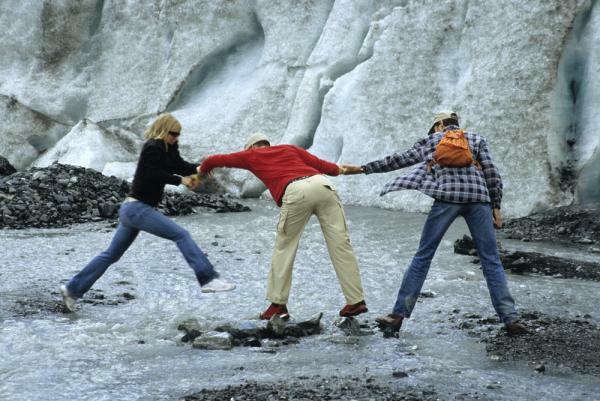 Watch the ice flows build around you today as you pass your first hanging glacier – Sum Dum Glacier. Later this afternoon enter one of nature's most spectacular places – Fords Terror – a glacial carved fjord. Keep an eye for bears here. Revel in the beauty of tonight's hidden jewel. No other small ship spends a full 24 hours here! Brunch is served. Enjoy a full day in Ford’s Terror, beginning the day with brunch, then taking skiff rides with your naturalist, or kayaking to watch nature at its best. Be among a handful on the planet to visit this majestic fjord, one of the most majestic hidden fjords. Dinner cruise among the ice to the anchorage. Cruising SE in Endicott arm, watch for seal pups on the ice flows! Anchor tonight in Dawes Inlet. Island Spirit is underway early this morning for a great day of sight and sounds…listen for the thunder of calving ice. Spend time up close and personal with Dawes Glacier. Close enough for great views…far enough off to stay safe (chunks of ice hundreds of feet long may break off the face while you visit). After your visit to this tidewater glacier, cruise south toward the final port. Enjoy watching for humpback whales one more time as you make your way to Portage Cove. It’s the final quiet anchorage before going back into the world tomorrow! This morning arrive in Petersburg around 9am. This morning enjoy your final breakfast aboard the Island Spirit at 8:30am, followed by transfers to hotels or airport. Please note, all guests are required to disembark by 12:00 pm. The Island Spirit carries up to 32 passengers overnight in 17 comfortable staterooms. Each room has a private bath and shower, as well as a minimum of one large opening window for wonderful views and fresh air ventilation during your Alaska cruise. Stateroom with two twin beds, private bathroom with shower. All rooms have full size windows with screens. Slightly larger stateroom with queen bed, private bathroom with shower. All rooms have full size windows with screens. - A fuel surcharge may be added due to fuel price volatility. - All rates are quoted in USD and are based on double occupancy. - Limited special single cabins available on first come first served basis for the same rate. The exact cruise route and components may vary due to the Captain's discretion. The Island Spirit always strives to provide the best trip available. Some things may change due to weather, wildlife, tour availability etc. Initial deposit is $1200, and most travelers will call our office and pay the deposit with a credit card. Alternatively, you can register online here.